This tasty bowl of goodness is yours in under 10 minutes. So easy to make, my recipe includes a few of my favourite Japanese ingredients that give an authentic taste and a light yet nourishing lunch or supper. 1. Take a small saucepan and fill with boiling water. Drop in the buckwheat noodles and cook for 5-6 minutes (or follow pack instructions). Once ready, drain and refresh in cold water. 2. While the noodles are cooking, pour 300ml water into a medium-sized pan. 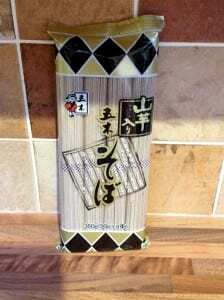 Add the dry wakame, spring onions and dashi stock (to taste) and bring to the boil. Add the greens, cooking them so they still have some bite. You would also add your cubed tofu/raw egg to poach/fish around this time if desired so that everything is ready at the same time. 3. Once the noodles have been refreshed, pop them into the vegetable broth, cooking everything together for 1 minute to allow the flavours to come together. 4. Take your serving bowl and drop a splash of sesame seed oil inside. 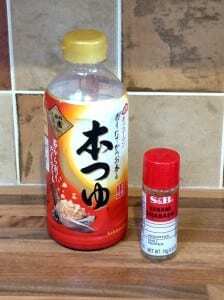 Pour in the noodles and broth and add a sprinkling of Japanese chilli on top. That's all there is to it. Eat with chopsticks if you can, and pick up the bowl with both hands to drink the broth straight from it. Accompany with green tea or water, and possibly a sliver of dark chocolate for pudding. 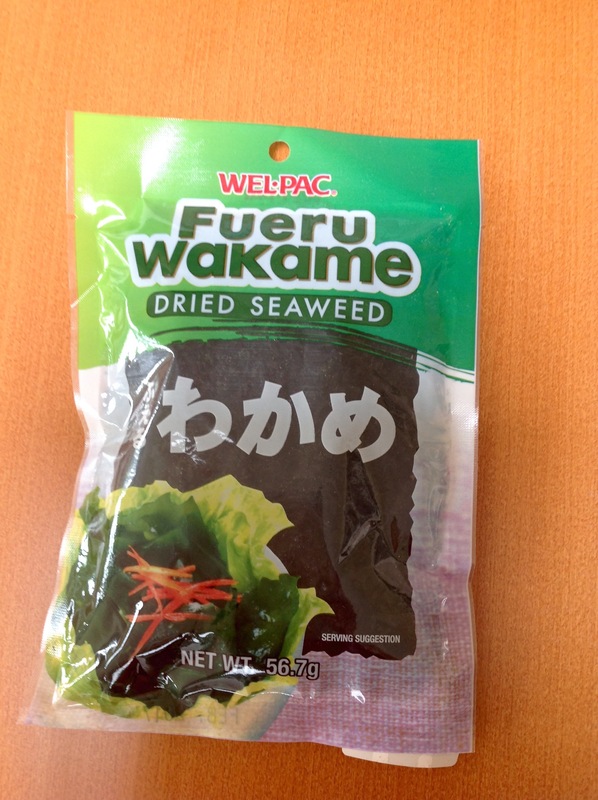 You can read more about the health benefits of seaweed here. Yams are a source of energy (complex carbohydrates), fibre, vitamins (B, C and A) and minerals. 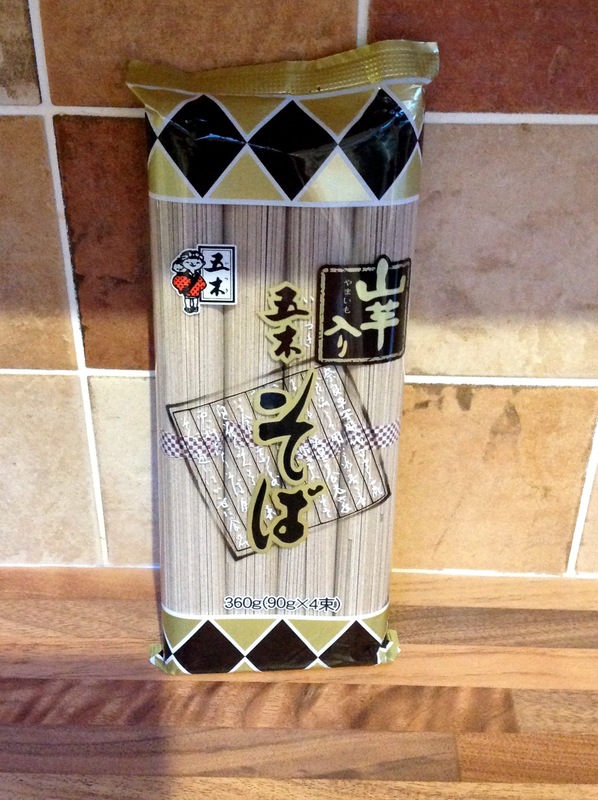 Yam improves the noodles in terms of both taste and texture (I find some brands of pure buckwheat noodles can break easily during cooking). Buckwheat noodles are associated with regulation of blood pressure and cholesterol levels due to an antioxidant compound and their magnesium content. 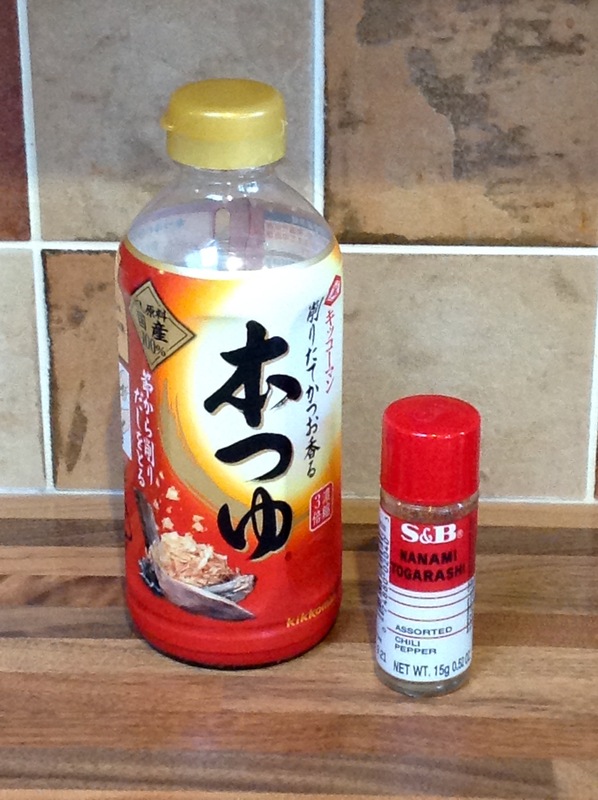 You can find all the Japanese ingredients in this recipe online from London's Japan Centre, or in an oriental food store - always fun to look around. 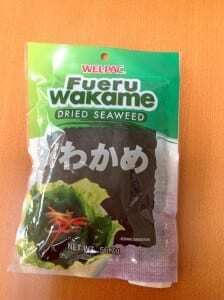 Many health food stores - and even some supermarkets - now also stock buckwheat noodles and wakame as staples.